Given a quiver with 20 arrows, whenever an archer rolls a 2 or a 19 to hit, he loses 10 arrows. Re crossbow vs. longbow, in GURPS, Crossbow is an Easy skill, while Longbow is a Very Hard skill, and thus costs many more points to get and improve. Earthdawn made archer a class unto itself. That’s a nice way of doing it too. Someone in the G+ thread suggested something similar, deriving the ammo use from the attack roll. I kind of like the simplicity of being able to attach an ammo die to a weapon though, as it is a nice shorthand that could be quickly understood, for example, in a table of weapons. Also, the ammo die can be used for ancient technological artifacts in an interesting way. Looks about right to me. I like the volley rule, too. If you wanted adapt these rules to the Heavy Crossbow vs Longbow scenario, give the heavy crossbow a d12 ammo dice. Bolts are tougher than arrows (I know ’cause I’ve dug em out of trees with a hatchet) and you fire them more slowly, so you go through less. It fires slower, but it hits like a mule and ammo supply is reliable. I’d even consider a pass-through effect. If you kill an enemy with a heavy crossbow, you get a free attack on an adjacent enemy. I shot a modern crossbow through a sheet a plywood, through a 2×4 fence and down an alley one time! On the whole, I prefer to just track the resources. Whilst I understand the worry as it relates to the combat round, which argues against torches and iron spikes as analogues, it seems to me that because combat is abstract it is not a big deal if the number of arrows shot is directly equivalent to the number of attack rolls made. I don’t think I would use a rule like this. It is interesting and elegant, to be sure. And, I suppose, since I use the 6-second round, it wouldn’t even come into play in my games. That said, it seems to me as though this removes all strategy from resource management. If I’ve got 20 arrows, then if I fire into combat once, I may as well fire as many times as I want, since the results will be the same afterwords. With individual tracking, you need to think about the likelyhood of retrieving arrows, and whether or not you’ll need them later. With the volley, both of those considerations stop being relevant. I think that, as a player, a rule like this would frustrate me. Anytime an opportunity to fire arrows came up, I would need to think “Is it worth potentially losing all of my arrows for this one shot?” I feel as though I would frequently opt to try something else, and save my arrows for an emergency. Yeah, I hear you. Abstraction and resource management are uncomfortable bedfellows. That being said, when was the last time you have seen number of arrows actually really factor into strategy? Don’t players just end up buying lots and lots of ammo and then forgetting to check it off anyways? 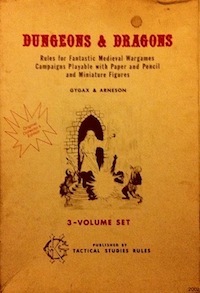 Also, note the special case for foxhole situations. Regarding the volley rule, it’s only potentially losing all of your arrows if you don’t have any backup quivers. I would probably rule that it would take a round to switch to another quiver or case though, unless you had a retainer standing by. I wonder how many arrows one can fire in a 10 seconds? What if you rolled 1dx after each attack roll for the number of arrows lost where x equaled that max number of arrows you could fire? Or, roll 1d “half of x”, and 2d “half of x” for a volley. Maybe there is a special consideration for careful aiming that allows you to only fire 1, but that seems like it would be all benefit. Aiming carefully seems to imply that you should only use one arrow and get a bonus to hit. To balance it a penalty to damage doesn’t make much sense. That gets back to the number of arrows per round, which breaks the abstraction. I do kind of like the idea though, and you could balance it by making aiming and shooting a single arrow grant +1 to attack and shooting a volley of 1d6 arrows add +1 to damage. In any case, the problem remains for me. The abstraction that breaks my suspension of disbelief is the notion that the sword swinging for 10 seconds might not actually HIT but it does a d8 of Hit Point “damage.” And, I’m fine with that, but I feel like an arrow or bolt or sling stone or spear… or a magic missile for that matter, They all either hit or they don’t. I don’t get how “misses” “damage” Hit Points. Morale damage for near misses just doesn’t ring true for me. Missiles can physically hit and still do lesser or greater damage. For example, a glancing shot, a flesh wound, a dented piece of armor, etc. All of those can be hits without causing grievous wounds. This does not require higher-level abstraction like luck or morale to enter into hit points — every hit can still be a hit, just not a good one. I am familiar with that argument, and I disagree. I just don’t see the back and forth of a sword duel as being similar enough to say, the orc tribes volley of arrows, or the elven marksman’s one shot. To me the implication of using the same abstraction for missile and melee is that the whole world if full of crappy marksmen. Unless they are firing at herd animals for food (1 or 2 hd, on average 8 or less hp), they can’t be counted on to really bring down or even lock down a thing. Where as, the swordsman locks down his opponent quite effectively by comparison. No worries. I think there are plenty of people that are dissatisfied with how D&D combat works. Remember that the average soldier has the same amount of expected HP as the amount of expected damage from a single hit (within some reasonable tolerance, depending on the specific edition), making one hit = one kill likely for non-levelled characters. If you have ideas for making the system work differently while preserving interesting choices for players and not making the game all about combat, I would be interested in hearing them. All true. If the whole world was full of beings with 3 hd or less, I would have no problem anymore. Its just as the HP start to balloon that my head starts to hurt. Don’t get me wrong, I run B/X or 3.5 more or less RAW. It’s just that I’ve run so many other games over the years that I guess the bumps and warts on good old D&D just bug me a little more. It’s more of a game theory exercise for me anymore. Which, takes me back to your OP… Savage Worlds has an abstract ammo mechanic for extras and NPCs… have you seen that? No I have not but Savage Worlds seems pretty influential. Need to read it one of these days. I like these rules a great deal, though they don’t work with firearms – hmmm something to think about. 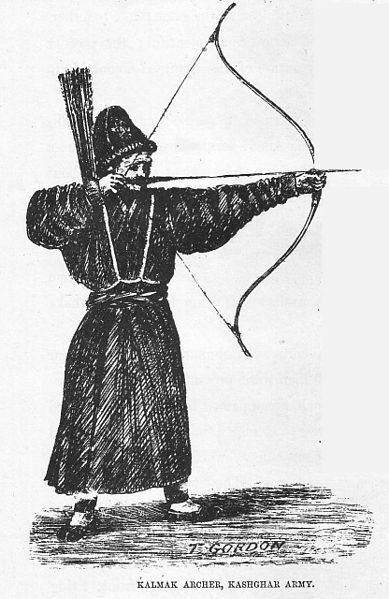 As to longbows/heavy crossbows – str requirement to span heavy crossbow in one round – same to pull longbow. No longbow if undet 13str. No one round reload of heavy crossbow if under 13str. Why don’t these rules work with firearms? I was explicitly thinking about automatic pistols and clips, in addition to longbows and quivers. I think they would work for automatics – quite well, but the limiting factor on guns the way I play them is reload time. As to ability gateways I understand your revulsion, I like them more than class gateways and try to offset with skill buys, but as to they heavy x-bow – heck it’s not a barrier just a bonus. With longbows I am ok as really that’s a difficult weapon to use – a specialists. Perhaps not for rules light system, but where there’s more crunch? Yeah, an ammo die abstracts away reload times, which means that damage dice should be lowered when using such a system. Guns could still have armor piercing qualities or something though, so it doesn’t necessarily make things blander (just anticipating a possible objection there). Interesting to think of it as an ability score bonus rather than an ability score gateway. Maybe a successful strength check along with the shot to reload in the same round? That way it would not seem so much like an absolute threshold. I’m finding that non-referee facing house rules are hard to make stick on G+ hangout games. Has that been your experience too? I really like the idea behind this; in the next game scheduled for next Tuesday we are going to playtest this (along with other house rules, such as damage dice (stolen from waysoftheearth’s Hinterlands and Moria pbp). Awesome. I would love to know how it works for you, and if you need to tweak it. One thing, though: I assumed +2 to-hit for volleying, is that about right? Whatever you normally use for small situational bonuses or penalties should be fine. Either +1 or +2 seems reasonable to me. How about you lose 1 missile for every 10 points (or 6 points) of damage you do? So, 20 arrows gives you 200 points of damage you can deal before restocking. This would work, but it seems like it would require tracking two totals. You would need to record (or remember) the points of damage done so far and the number of arrows left, and both of these numbers would change somewhat frequently. The thing I like about rolling for ammo exhaustion is that the only number you track is quivers, which changes rarely. Also, this would mean that a bad shot would get more utility out of a quiver than a good shot, which seems counterintuitive (you could address this by modifying the damage point total using some measure of competency, I suppose). I propose *no* tracking of arrows whatsoever – other than when you buy arrows you add points – when you exceed the total points you are out. There is no retrieving of arrows either. Brendan, You make a good point about misses and I have been thinking about that – that is why I came back to this post! It think that maybe always rolling damage and only subtracting the ‘miss’ damage would be a good solution. Perhaps, but either way you’re tracking something on the character sheet, right? Either points used so far, or arrows remaining. It seems like you still potentially need to update the character sheet every time you take a shot. Or maybe I’m misunderstanding something? It does address the abstraction of missile combat at a general level, but not in a way that seems like it would be easier to use at the table.